Although we haven’t had as many friends to stay as we expected this year, for a variety of reasons, we have had some visitors and also made some new acquaintances. Towards the end of August we ventured into the high Correze to visit Chris and Sue Simmons. It’s called the high Correze for a reason; their lovely house and garden (including pitch and putt golf course) are at some 580 metres above sea level – that’s over 1900 feet. No wonder their winters are a bit tougher than ours. We are at about 130metres, or 430 feet. 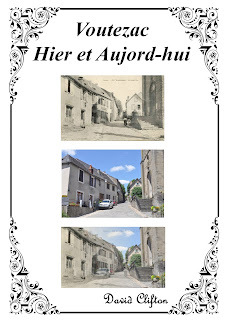 It always amuses me when I read about people asking what the weather is like in the Correze – it really does vary! Chris and Sue are ex-army, but are still nice people. Ho, ho. 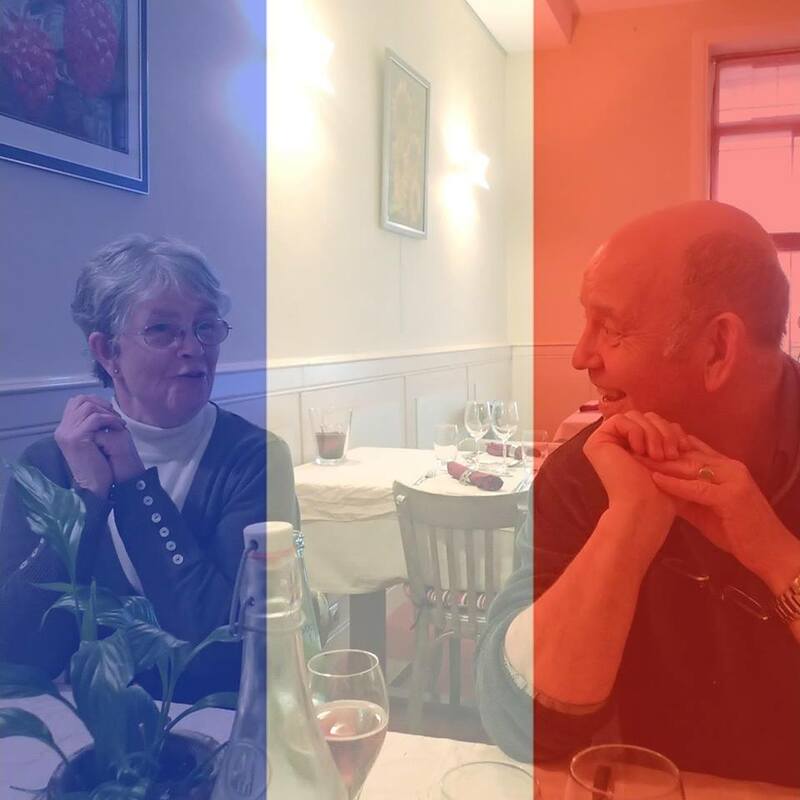 Chris has had a few recent medical problems, but is recovering well, and has nothing but praise for the French health service. A very enjoyable day out. Still going to the bowls club every week, and even getting a bit better. We had a club lunch at the house of Caro and Ron Caldicutt, who do most of the running of the club. A very pleasant time was had by all. We did have a few visitors – Paul and Nicky Cannock were on their way from the UK to Provence (missing out their flat in Paris) and stayed over for a night. Lots of chatting about the olden days in the RAF. Paul now works for the European Space Agency, and gets a nice large Mercedes on diplomatic plates. How upset I was he almost got the huge thing stuck in the underground car park in Brive. Of course as he said, he could have just left it anywhere with the diplomatic plates!! Another couple who were meant to come and see us, Mal and Eileen McGahan, called us the day before they were due as Eileen had lost her passport. Everyone’s nightmare at 8 in the evening the morning before a 0730 flight, and they never did find it. We hope they can reschedule next year. I managed to track down a very old friend, John Bostock, who I met during my brief spell at university. He had been lawyering in the oil industry in Houston for many years, oddly the place two of our good friends Rhonda (Texan) and David (Oil) met and lived. Anyway John and his husband Chris have retired to near Carcassonne. They were on their way back to the UK, and stopped overnight. Gave them a quick local tour, and we hope they can come again. We pointed out to John that he was our daughter Rachel’s godfather, but apparently you don’t have to pay in arrears. Told him that he’d done a rubbish job spiritually…. Another old RAF friend, Brian, found himself at a loose end between Thailand, Northumberland and Florida, so stayed for a very agreeable few days. A few days out – one good one was with Rhonda and David – Auberzine, Argentat and back – nice picnic by a lake, and Judy’s favourite, ice creams by the Dordogne in Argentat. Still doing my photo project – trying to copy old post cards. Given a few away to friends – must have a lot of damp patches on their walls! Has a few sinus / tooth problems. Had an x ray and an MRI scan, but looks as if it’s just a tooth problem, so making an appointment to have the damned thing out. Went to the doctor one Monday morning and got a prescription for an x ray. 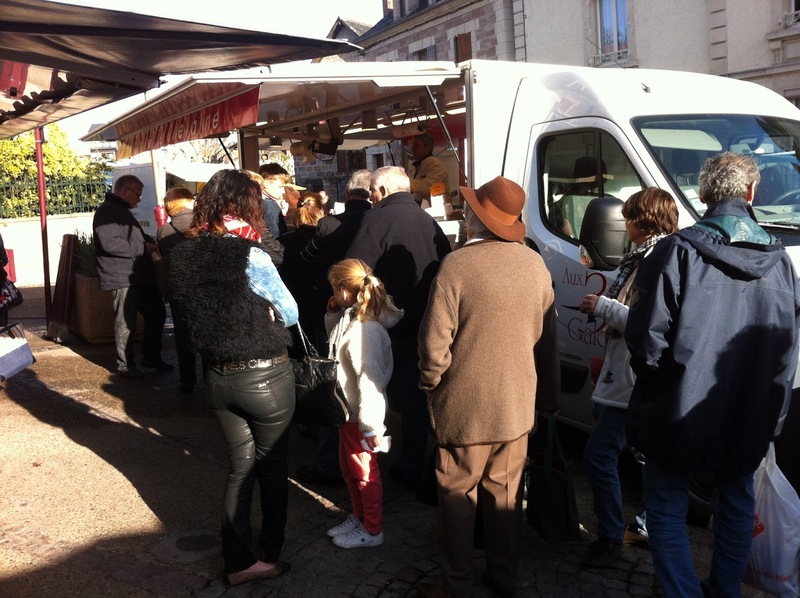 To one of the hospitals in Brive after lunch to make an appointment. Receptionist seemed very puzzled – why did I want to make an appointment, wouldn’t I rather have it done now? In and out with x rays in my hand in 30 minutes. Took them to the doctor that evening – sinuses clear. A few months ago I decided that my floorplan was not exactly thriving, so I officially gave up. Of course a few days later I was asked to draw up a plan for a friend – so I did that, from sketches (the places were in Southern Italy and my offers to measure up myself were not needed), plus another in the Dordogne which I did for the petrol money. Makes a nice day out! Still getting to Objat market every Sunday. One week they were making fresh apple juice, the old fashioned way – and it was delicious. Last week took a few more pictures – the butcher’s van actually only sells horse meat – odd that we Brits find that so difficult. Again this year I have been a collector for the British Legion Poppy Appeal. 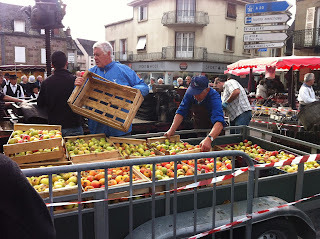 I shamed almost everyone at bowls into buying, then I discovered that about 45 minutes away in the next department, Haute-Vienne, in the lovely town of St Yrieix la Perche, there is an expat organisation called Connect. They have a monthly coffee morning, book club, choir, quiz nights and a theatre club! Went to the coffee morning and amazed to find some 50 or 60 people there! Sold out! And very nice people! Able to send over 100€ to the Appeal. Of course we went to the Remembrance Service in our village on the 11th. The children all singing the Marsellaise was very touching. 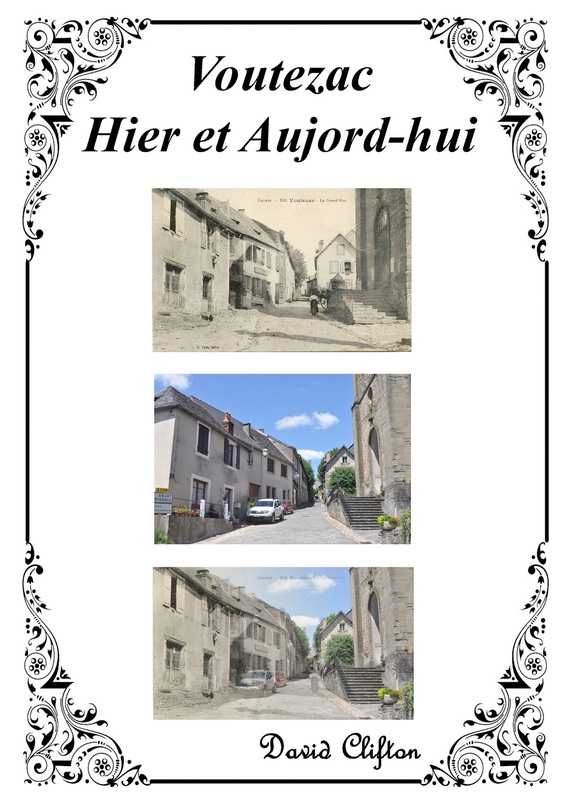 I have been “translating” a history of the village into English. Well I scanned it, used Optical Character Recognition, copied it to Word, and then used Google Translate. Simples! Actually, as we all know, Google Translate does about 70% OK, some poor, and a lot of gibberish, so I have spent a lot of time with my dictionary. Its worth it as its very interesting. Also just re-read a book about Filkins, the village we lived in in England called the Jubilee Boy. Written by George Swinford who was born in 1887 and died at over 100. Fascinating to see how primitive life was in the 19th and early 20th century in England! Highly recommended.